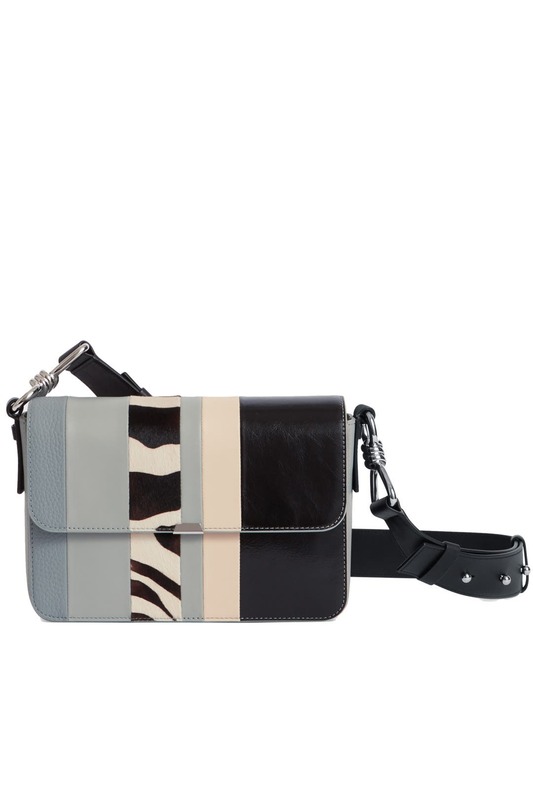 This trendy AllSaints bag will instantly elevate any look. 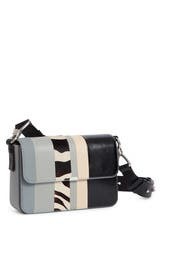 Multi sky blue stripe leather structured crossbody with foldover magnetic closure. 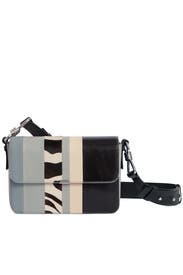 Internal slide compartment and zipper pouch. Silver hardware and adjustable strap. 6"H x 9.5"W x 2.75'D.